I lived in Billings, Montana for fifty years in peace, but for about the last two years a dark entity has disrupted our lives. 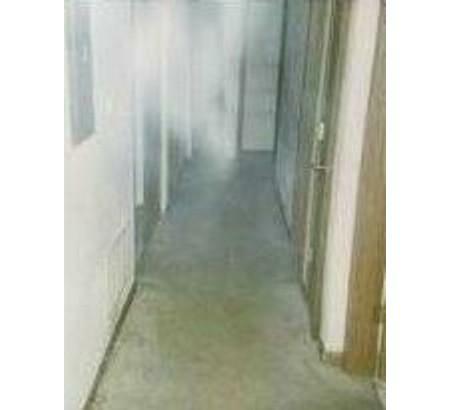 My wife and I have seen an apparition of a dark haired woman in blue jeans and a white shirt on many occasions. Along with weird things happening, the TV and radios have been coming on and turning off by themselves. Five times my car started up on its own. The first time it was 1:47 am, the alarm in the garage went off. When the police arrived there was no one to be seen. The second time scared the living you know what out of me! This time it was 12:13 am. I was figuring; I am going to catch this in the act, I also told my wife to call the police, forgetting that I have already set the alarm. I flung the door open. At first I looked around, no one was in the garage, and then I look to see if they were ducking under the dash. There are seven steps going down into my garage so the advantage point was good for looking into the car. Anyway, as I was looking into my car all of a sudden the headlight came on and the motor started to rev up. Thinking to myself, there are going to ram the house or the garage door. In the mean time the police were blocking the garage door. Then all at once the motor and the headlights turned off. One police officer that came through the side door earlier had also witnessed the event, when he looked in my car there was no one there. He told me that if he had not seen that with his own eye, he would not have believed it. The picture shows that it was in fact mist. I took a copy of the photo highlighting all natural causes and that was fog. Although I still can't say you don't have paranormal activity there. Hello, I am Christina. I am here looking for things like this that happen to others. It may sound weird, but I see ghosts. I live in Billings and am also wanting to help. If you want to contact me, I help and try and make spirits and what not cross over. I am willing to help, but I need to know the power and force of this spirit. I can help you find out how he/she is connected to your house. If you want to contact me my email is Christinalea454 @gmail. com Thanks.